Aside from getting a great style, make sure that you've got the haircut that best suits you. 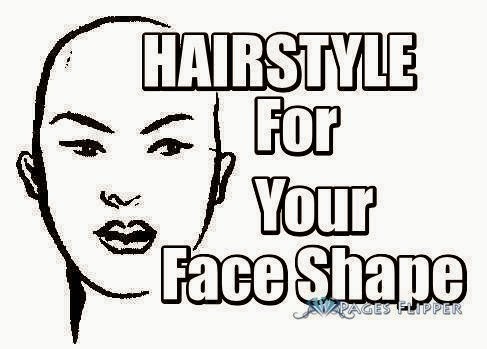 In discovering the right hair styling, you must think about what face shape you have. Here I recorded tips which provides for us the thought of what cut that looks best on us. You're lucky - this is the kind of face shape that suits just about any hairstyle. Both long and short hair cuts look great on you, as your face shape is well balanced. The chin and forehead of an oval face shape are in even proportion. Avoid covering up your perfect face shape with heavy bangs or wearing your hair on your face. You'll lose your face shape and it may add weight to your face. Hairstyles with fullness and height at the crown will give the impression of a narrower face. Try a cut with layers while keeping the sides close to your face to make your face appear longer. Round faces suit either short hairstyles swept back from your forehead, or hairstyles that are longer than chin length. Wispy fringes and side parts are also good. Avoid chin length hair, center parts, fullness at the sides of ears, straight "chopped bangs - these will all emphasise the shape of your face. The heart shaped face is widest at the temples and narrowest at the chin, which can appear pointy. Short hair and chin length hair often looks great on this face shape, as the fullness can even out the jaw and chin lines. Chin length bobs, short shags, swept forward layers and wispy bangs all work well. Avoid full styles that emphasise the upper face without balancing out your narrow chin. Too much height at the crown and tapered necklines will make you look top heavy. If your face is long and slender, with your forehead and below cheeks about the same width, hairstyles that balance out the length of your face work best for you. These include short to medium lengths with fullness at the sides and soft wispy bangs. This will shorten the length and add width to your face. Layered styles work well and add softness to the straight lines of your face. Avoid too much length, it will only make your face look longer. Too much height will also lengthen your face. If your face is square, with a strong, square jaw line and often an equally square hairline, the right hairstyles for you are ones that soften the square look of your face. Short to medium length hair cuts, with soft wispy bangs and a wave or curl will compliment and balance out your straight face shape. If you hair is straight, maybe consider a body wave. Side parts and fullness/height at the crown can add length to your square face shape. Avoid straight styles - long straight hair, blunt bangs, straight bobs and center parts, as they will emphasise your square jawline. If you face is triangle, with a wider chin that narrows at the forehead, you want to stick to styles that narrow your chin and widen the forehead. This will balance out your features. Shorter hair can often balance our your prominent jaw line, as well as styles that are full at the temples that taper at the jaw. Off center parts, wedges and shags are also good styles for you. Lots of layers will give you the fullness through the upper part of your face. Avoid Styles that are full at the jawline and center parts. If your forehead is large and your chin long, it can help to add volume below the chin line to balance it out. A thick layered cut or mid-length bob will add fullness where it's needed. Bangs can also reduce the look of a full forehead. Full hair can help downplay a large nose or other feature and can help balance out large features. Straight hair, parted down the middle or a long, heavy fringe will make a larger nose seem even more prominent. Subtle highlights in your hair can help by drawing the eye towards the hair and away from the face. A long, graceful neck is a beautiful and desireable feature and should be shown off and considered when choosing a hairstyle. Short hair can really show off your neck, however long hair can also add to your already graceful neck when worn in an elegant style, like a twist or updo. If you want a short hairstyle and your neck is short, create the appearance of length by tapering your hair at the base of the neck and fuller on top. This is simply to provide for you a thought on what haircuts that best suits your face shape.